It’s interesting that the two concepts of identification and documentation go hand-in-hand, even in the dictionary definition. Despite moves in recent years to develop federated, digital and token identities, or to use biometrics: fingerprints, facial recognition, iris patterns, voice waves and even DNA, the predominant form of identification is still document based. This is less to do with the technological issues still associated with newer forms of proving identity, and more due to governments globally still issuing documents as the primary form of identification. But documents aren’t without their problems. 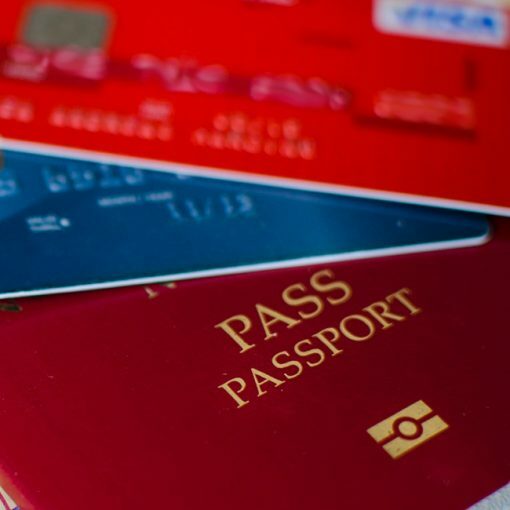 Aside from being susceptible to counterfeit and tampering, there are literally thousands of identification documents in circulation worldwide. Each country has their own suite of documents. Often these vary by state or territory, new versions are introduced every few years and issued documents normally last around ten years before expiry. Some documents contain the latest document technology to prevent fraud – hidden information in UV or InfraRed layers that can only be detected by specialist scanners, holograms and special printed patterns and textures, check sum information, codes and diagrams. Some countries chose to implement electronic chips on documents, but others don’t. The information stored on the chip varies between documents, and retrieval of the data for validation purpose can also be problematic as not all smart phone devices enable NFC capture. Finally, there are those identification documents that are simply “put together” on paper when the applicant supplies a photograph. Surprisingly, this type of documentation is not isolated to remote or developing countries. In fact, many developing countries have implemented newer technologies before many European countries. Thus, the robustness of the document as a source of identification is only as robust as the process the applicant went through to obtain it in the first place, combined with the anti-fraud features designed into the document and the ability to read or detect those features. At GBG IDscan, documents are our passion. Our team of experts continually carry out research on behalf of our customers. Firstly to help customers choose which forms of identification documents to accept, and secondly to ensure our technology can automatically process those documents, resulting in a fast “yes/no” decision when signing up new customers – whether online, or in-store. Our digital journey enables customers to correctly classify which document is being used as a form of identification and check it’s an accepted one. Our technology performs checks and balances based on the data it extracts from the document. Fraudsters often produce a document that looks legitimate to the naked eye, but fails to have the correct sequences of numbers and letters which matches together gender, date of birth, initials and so on. Meanwhile, our fraud prevention journey provides in-store capability through hardware scanners that offer full documentation authentication. They read the features only available through hardware scanners with the capability to produce infra-red and ultra-violet images alongside the usual white light scan. They can consistently read any electronic chip placed in the document and validate the information against the document photograph page. They can quickly serve all this information up to the user with clear indications of the validation and authentication checks performed and the result of each check. With either journey, for that final piece of mind, our document experts will also review the document provided and recommend whether it should be accepted as proof of identity. Find out more about how GBG IDscan can help onboard customers quickly, and prevent fraud.